Cook frozen meals in a snap, or heat coffee, soup and leftovers in no time. Quickly and efficiently thaws frozen items. Reheat, popcorn, keep warm, soften, melt, vegetables, potato, frozen entree, and more. By turning food items as they are prepared, the turntable ensures even, thorough cooking. 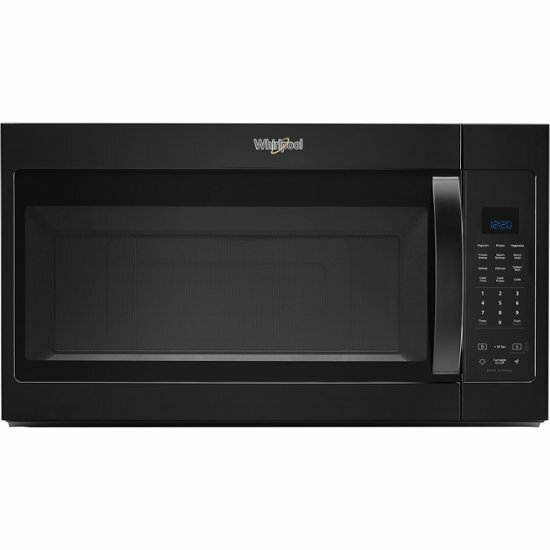 Click the button below to add the Whirlpool - 1.9 Cu. 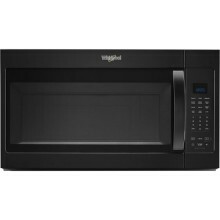 Ft. Over-the-Range Microwave - Black to your wish list.